If you are looking for a free and painless hearing test, then look no further! Get in touch with us today, and we will schedule you for a free hearing evaluation in the next few days. We understand how frustrating and annoying your hearing loss can be, and the longer you ignore it, the worse it will become with time. So why wait, when you can get a completely free and painless hearing test done this week!! A hearing evaluation can sound a bit daunting and time-consuming and you might just skip out on your test, but I assure you your time will not be wasted. We strongly advise having your hearing tested annually even if you are not feeling a change in your hearing, or even experiencing hearing difficulty, hearing is part of your overall health and well being. Understanding the process will help you to get a better sense of the importance of hearing testing. What Should You Expect From Your Hearing Test? Lifestyle – The first thing your hearing care professional will begin with is a lifestyle evaluation. It is common practice for the hearing care professional to get your medical history and discuss your lifestyle before the actual testing begins. This will help them to evaluate what your hearing environment is like, and how it is impacting your life. Hearing Test – Once you have completed the health and lifestyle assessment, and you are comfortable the hearing aid professional you will be audio-logically tested. This will include a speech test, tone testing in at least two forms, other tests may apply based on findings. Each ear is tested independently as well as together to get a comprehensive understanding of the workings of your auditory system. Once the test is over the hearing care professional will explain the results of the test in detail, so you understand exactly what is going on. If the results are indicating hearing help is needed you will be advised of your choices to treat your hearing loss. This will be based on how serious your situation is, and what is causing these issues. Free Trial – The next potential step is choosing a hearing system that works best for you. 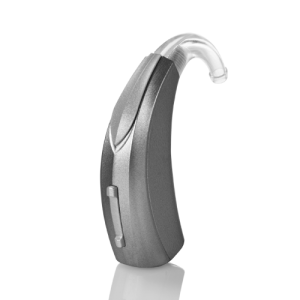 Once the hearing aid has been selected the health care professional will order you’re individualized hearing system. 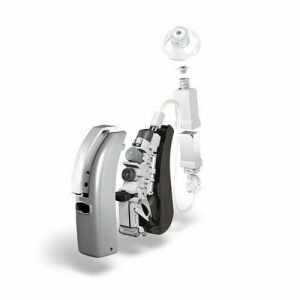 This process helps us ensure that we are offering you a perfect pair of hearing aids, that will offer you the right amount of coverage based on your condition. After your system arrives you may then work with your hearing care professional over the next 45 days to see if hearing assistance is right for you.